After hosting three previous USGA championships, including the 2017 U.S. Open, Erin Hills is back in the rotation. The Wisconsin course is slated to host the 2025 U.S. Women’s Open and the 2022 U.S. Mid-Amateur. The 80th U.S. Women’s Open will be the third U.S. Women’s Open to be played in Wisconsin, with Se Ri Pak winning the 1998 championship and Na Yeon Choi winning in 2012. Both Opens were played at Blackwolf Run in Kohler. By announcing Erin Hills as a Women’s Open venue, the USGA adds to an already strong lineup. Highlights include The Olympic Club in San Francisco in 2022 and Pebble Beach (Calif.) Golf Links in 2024. 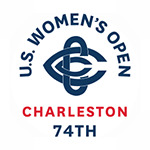 The 2019 U.S. Women’s Open will be played next month (May 30-June 2) at the Country Club of Charleston, S.C.
Erin Hills also hosted the U.S. Women's Amateur Public Links in 2008 and the U.S. Amateur in 2011. As for the U.S. Mid-Am, the winner traditionally receives spots in the following year’s Masters and U.S. Open. In 2019, the championship will be played at Colorado Golf Club, in Parker, Colo., from Sept. 14-19. The 2020 U.S. Mid-Amateur will be contested at Kinloch Golf Club, in Manakin-Sabot, Va., from Sept. 12-17. The site for the 2021 championship will be announced at a later date. The U.S. Women's Open is one of 13 national championships conducted by the USGA. The event is open to any female who has a USGA Handicap Index not exceeding 4.4.